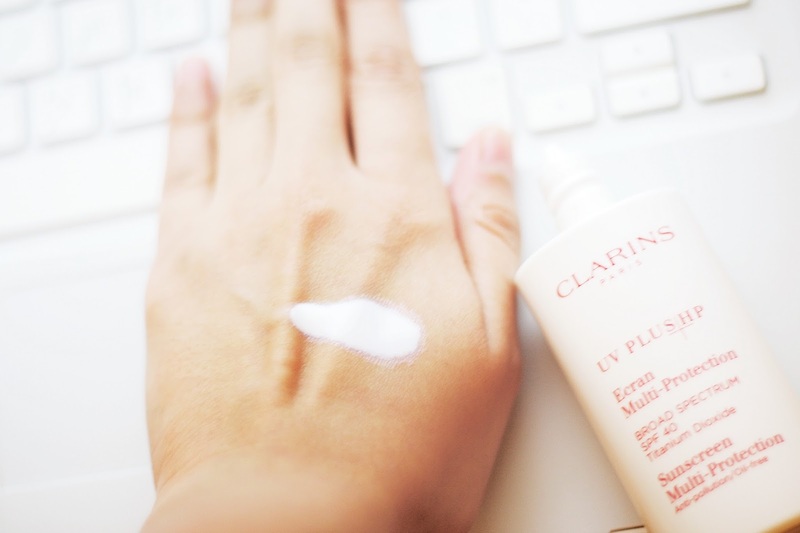 Aside from the heat, the sweat and the sticky feeling of summer, applying SPF is another hassle. The smell, the feeling and the "wait for 20 mins " thing is just annoying. 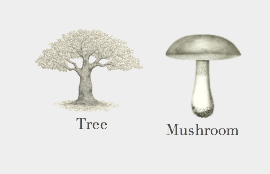 I have gone through many types of consistencies and many brands of facial sunscreens, and each has its cons, the smelly ones, the heavy ones, the ones that make your face as oily as an oil jar *Cough, Elizabeth Arden, Cough* , and those that make you look like Casper. The smell is something you can't evade in a sunscreen, and I am not asking for a non-smelly SPF, but rather a less heavy one; one that my nose can handle and does not make my brain go haywire cursing the odor while outside. Long story short, I went to Sephora and promised my self to be patient and try each and every sunscreen they have on my hand. And as a nice girl I did, and I was shocked by the amount of sunscreen that I don't like, almost all of them. I reached a state of hopelessness and was about to exit the store, but then there were 2 brands left, one of which was Clarins. 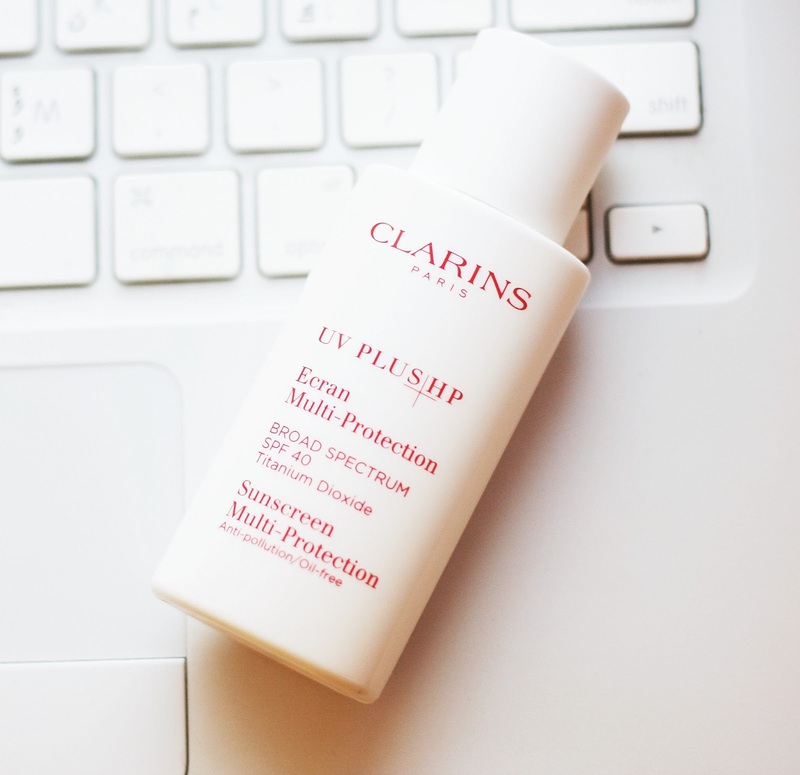 And eventually, after gazillions of hand testing, Clarins UV Plus HP Day Screen SPF 40 was brought home with me, of course after trying a sample for a week first. And I must say that this is the best sunscreen I have used yet. It is very light and sheer, not greasy since it is oil-free. I have been using it for a month now, did not make my face oily not even in the most humid days. Casper wise, it does not make the face as white as some other sunscreens, just a slight color that fades afterwards. It blends in like a dream and has that velvety feeling. I noticed that it should be blended fast because it dries fast, so I apply it part by part, rather than distributing it on my whole face then blending it. Smell wise, it smells like Jasmine, which I can handle, but there is no Jasmine in the ingredients, rather a plant called Rhodiola Rosea which could be it. All in all, I love it, and I will continue purchasing it if there is not a better one or a cheaper version of it. Disclaimer: This post in NOT sponsored, I wrote my honest opinion of a product that I purchased with my own money. I am exactly the same when it comes to SPF - I've found the greasier ranges to break me out in the past.